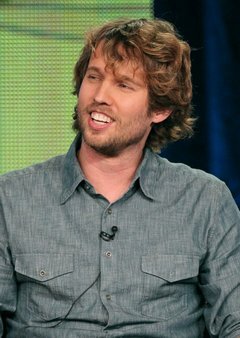 Although Jon Heder has rarely been without work since making his cinematic breakthrough in 2004, it would be fair to say that, no matter how many films or television appearances he may have made, people’s first thought when they see him remains “Napoleon Dynamite.” And, really, why wouldn’t it be? Even Heder himself admits that the distance between himself and Mr. Dynamite isn’t exactly the longest trek in the world. 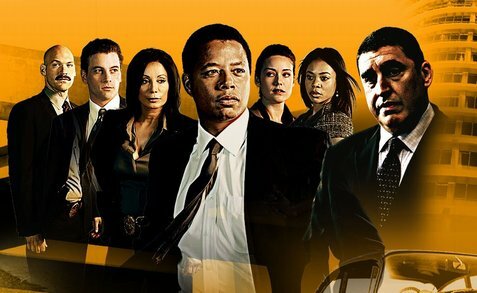 Still, if you thought he’d be hesitant to reprise his role for Fox’s upcoming series based on the the character and his adventures, you would be wrong. Heder doesn’t consider Napoleon to be an albatross around his neck. To the contrary, in fact, he’s loving every minute of his prime-time experience, which begins this Sunday evening with two episodes: one at 7:30 PM, one at 8:30 PM. Bullz-Eye: So this is a pretty sweet gig you’ve got here. BE: Well, not necessarily that. I really meant you’ve got a gig where you don’t even necessarily have to wear pants. JH: Oh, right! Which is appropriate, since Napoleon hardly ever wears pants on the show, either. [Laughs.] But, no, you’re right: this is a sweet gig. And I’m hoping that it continues and finds success. That’d be awesome. BE: Well, I watched the first two episodes, and they were fun. JH: I mean, it could possibly be the best job ever, because I love the work, I love the material, it’s, not, like, “Oh, all right.” I love “Napoleon.” And you’re going in, you’re recording, it’s easy scheduling…it could be the best job ever. BE: Obviously you know the character pretty well. How much in terms of voice acting did you learn from doing films like “Surf’s Up” and “Monster House”? JH: I’ve learned a lot, but…I don’t know if they necessarily prepped me for this, because…I was trying to create new, different voices and things for “Surf’s Up” and “Monster House.” This was a character I already knew and I knew what I was doing. I suppose doing all of those days of ADR on those films helped. BE: Was it any trouble to find the Napoleon voice again? JH: It took maybe five seconds. [Laughs.] It wasn’t too bad. I mean, at first, I definitely felt like one of the many college students who’ve done impersonations that I’ve seen on YouTube or whatever. Or just heard. 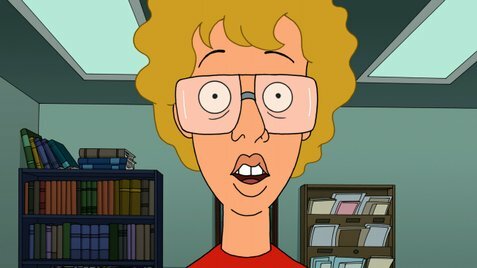 Like, “Eat your freaking tots!” And as soon as I said it, it was, like, “Oh, uh…” And then I went, “No, no, no, I can own this. I mean, this is me! I am him!” [Laughs.] So it wasn’t too bad. BE: How many horrible impressions of Napoleon have you heard over the years? JH: Well, I was telling my wife the other day, “Is this horrible to say?” And it must be because it’s me, because it’s my voice, but…they’re all horrible. [Laughs.] I mean, it’s funny, but if you’re talking in terms of how good they are, none of them come close. And I would know, because it’s me! [Laughs.] But if I tried to take a more objective point of view, then, yes, I’ve probably heard a lot of good ones, too.